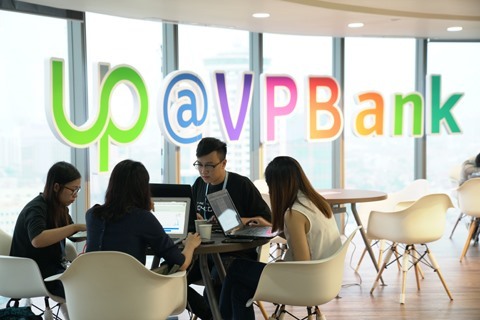 VPBank StartUp has become a “Big Brother” that understands start-up difficulties since its launch nearly a year ago, and is willing to give them financial and expert support. Unlike many other banks that practice corporate social responsibility (CSR), VPBank chose a different directionway by supporting the start-up community with funding of US$1 million in the first year. At the same time, VPBank has also been rewarded by this project, as VPBankers have been inspired and motivated by the creativity and determination of start-ups. 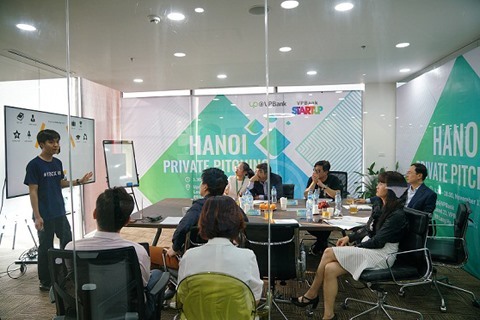 Over the past year, VPBank StartUp has held five competitions in Hà Nội and HCM City to give start-ups the opportunity to present their ideas and products to a jury made up of senior managers at VPBank. Straightforward comments, sincere sharing and sharp counter arguments from both the judges and the contestants are the unique “recipe” for these events. 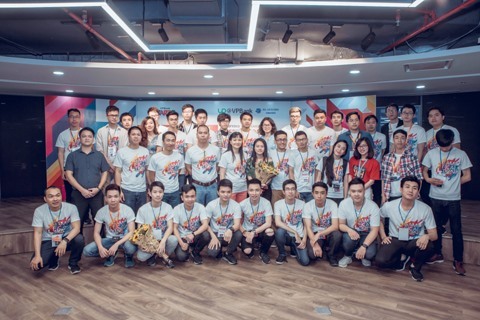 Following the competitions, potential start-ups have been sponsored to work at UP@VPBank Co-working Spacelocated at VPBank’s head office in Hà Nội and the HCM City University of Technology. This work space creates a positive and creative environment for start-ups while easing the burden of operational costs in their early stages. So far, 21 start-ups have received sponsorship, and the most outstanding have become VPBank’s partners. For example, Vicare Healthcare Platform and WeFit Gym-Sharing Application were integrated into VPBank’s digital ecosystem to provide customers with a variety of technological utilities and interesting experiences. Another attractive playground is the VPBank Hackathon series, in which young developers have only 24 hours to develop a banking application on trendy, but challenging topics, i.e. ‘Gamification” and “Artificial Intelligence (AI)”. Although these are new technological trends in the world, they have confidently shown off their talents and proved themselves with innovative and practical products. Being incubated in these events, many companies such as Focal Lab Blockchain Company and T &T Software Development Company were founded. Currently, these companies are collaborating with VPBank on digital product development projects. VPBank StartUP plans to build coaching models and accelerator programmes with the involvement of VPBank’s senior leaders and top experts in management, product development, communication and marketing, and human resources. Việt Nam now has favourable conditions to become a nation of entrepreneurs, with a wealth of talent in technological fields and a “golden” population structure – a young labour force with two-thirds of the population of a working age. Thanks to this, Việt Nam saw a breakthrough in the start-up community in 2017 with more than 126,000 small-and medium-sized enterprises established. However, Việt Nam still lacks a unified start-up eco-system which includes the three pillars of policy, community and finance. By joining this ecosystem as an active contributor, VPBank aims to help the development of the startup community in Việt Nam. “VPBank believes that start-ups, as an important element in the economy, are full of potential that can create great value for society. Contributing to the start-up eco-system is both our responsibility and honour,” said Nguyễn ĐứcVinh, VPBank’s CEO.